that would help keep our food pantry shelves stocked and services available to all in need. Each year admission to this event is a non perishable food item. The Marvel of Flight was created as the 2010/2011 class project of Leadership Walton, a program of the Walton Area Chamber. The class was challenged with bringing alternate forms of tourism throughout the county, while promoting economic development. Marvel of Flight events attracts 5,000-7,000 spectators and will showcase a multitude of aircraft displays, flight demonstrations, career exploration exhibits, pilot workshops, concerts, free kids activities, food/aviation/art/crafts vendors, and lots of thrills for adults and children of all ages and backgrounds to enjoy. 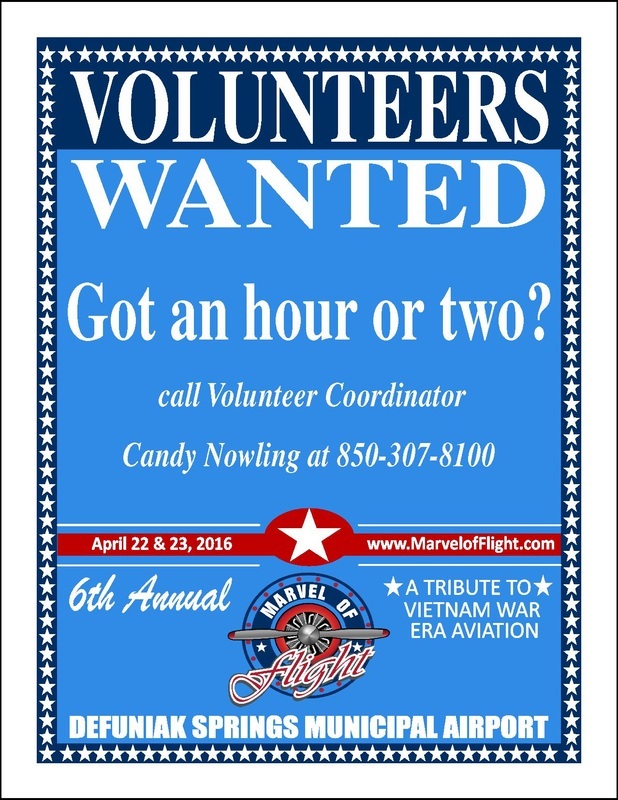 For more information on the schedule of activities go to http://www.marvelofflight.com. If you are interested in volunteering at this years event please click on the flyer below, complete the volunteer form, and turn it in at the Matrix.